Braddock, Pennsylvania has been dealing with high levels of pollution because of steel mills in the area. Mills emit particulates, sulfur-oxides, volatile organic compounds, and carbon monoxide, which are inhaled by residents every day. Allegheny county, where Braddock is located, is ranked 12th in the nation for year round particulate matter pollution. Government agencies monitor emissions but allow a certain amount of pollution to occur. Much of the pollution can be attributed to the Edgar Thomson Steel Works. The mill is owned and operated by US Steel, which is headquartered in Pittsburgh. The mill was opened in 1872 by Andrew Carnegie, and continues to operate in 2018. It was named after the president of the Pennsylvania Railroad, and the first steel to be produced happened to be 2000 rails for the Pennsylvania Railroad. The pollution emitted from this mill creates many health problems for the people of Braddock, and contributes to Braddock having one of the highest rates of respiratory disorders in the region. Steelmaking can be an unsafe and unhealthy process. Not only do people in the region suffer from respiratory disorders, workers can become injured from asbestos fibers floating in the air. Since asbestos was widely used in insulation products, it was used throughout steel mills to insulate steam lines, furnaces, and to protect workers. Asbestos block insulation was used on the outsides of furnaces, and steam pipes were wrapped with asbestos to insulate and protect them. It was also used in gloves, leggings, and aprons. The problem with asbestos though is that it is very dangerous when it becomes airborne. When asbestos is inhaled it becomes lodged in people’s lungs and causes scarring to occur. The fibers cannot be broken down, and can cause cancer in the person who inhaled them. Asbestos would become airborne easily in steel mills when machinery vibrated or when asbestos clothing would become worn down. The dangerous fibers were then inhaled, causing many health problems for workers in the mills. 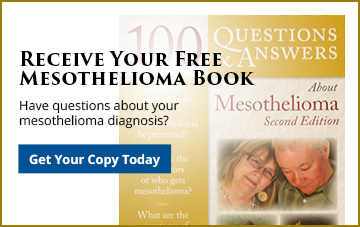 If you have contracted mesothelioma or lung cancer and worked around asbestos, you may be entitled to file a claim. For years companies knew the dangers of asbestos but continued to let their employees work with it to increase profits. Use our contact form or call us at 412-471-3980 to speak to an attorney and learn your options.